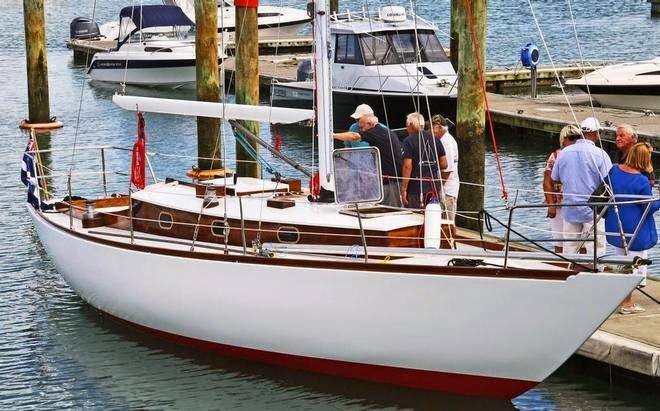 1966 Plan Sparkman & Stephens, built by Max Carter, "a single skin of kauri with glued splines between the planks (instead of caulking)". 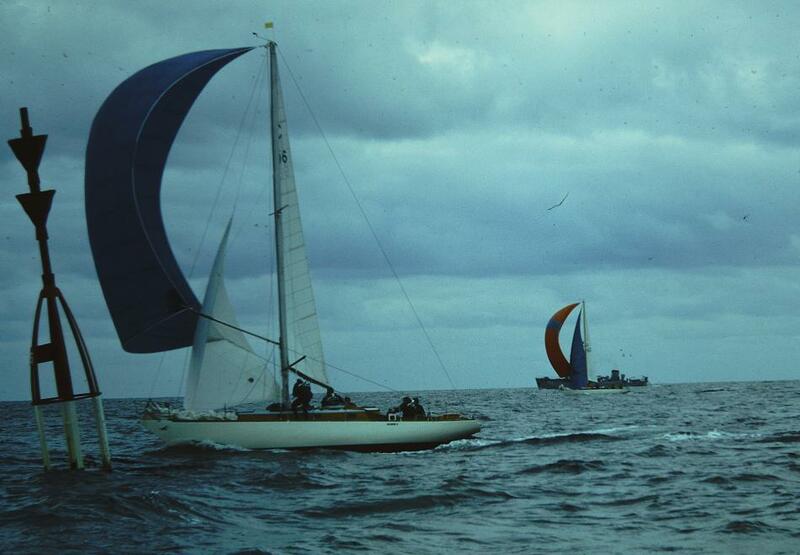 1967 Avril, Whangarei-Noumea race: 1er/?? 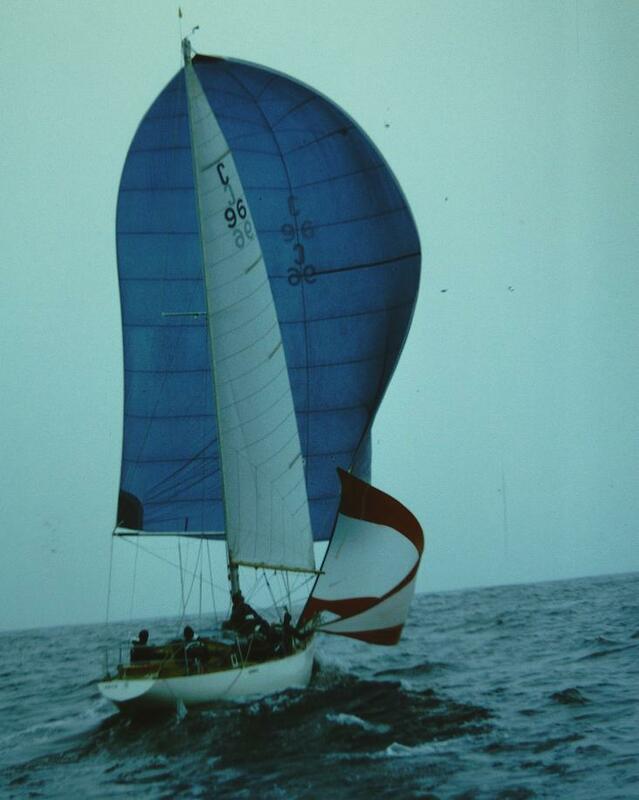 One Ton Cup, Heligoland: 1er/?? 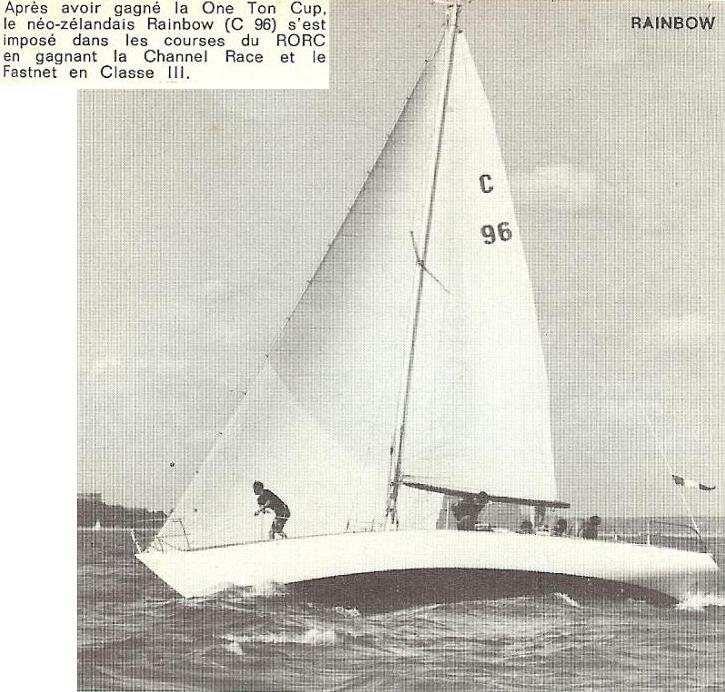 2009 Chris Bouzaid: "The idea to resurrect Rainbow II was born in 2009. 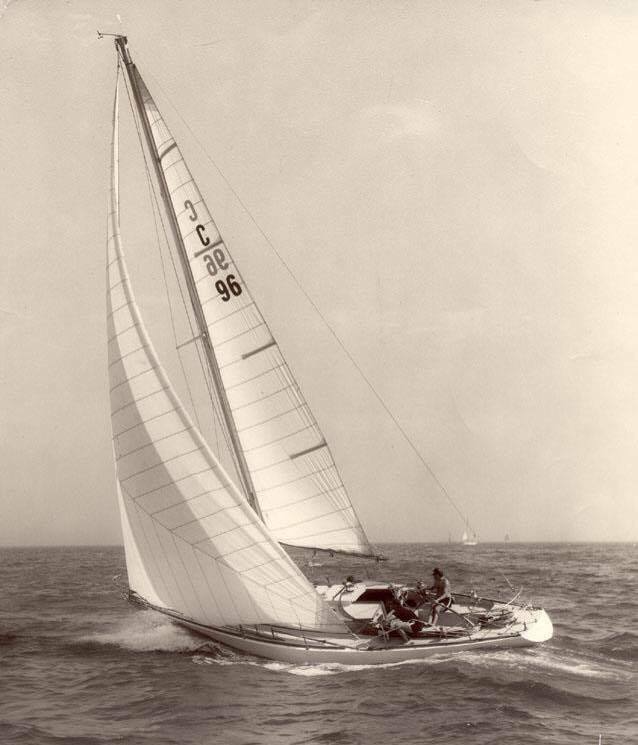 I was passing through Bermuda and took the time to visit the yacht that I sold to local sailor Charlie Berry immediately after she’d won the One Ton Cup. I found the old girl in bad shape and not all that far from the scrap heap... 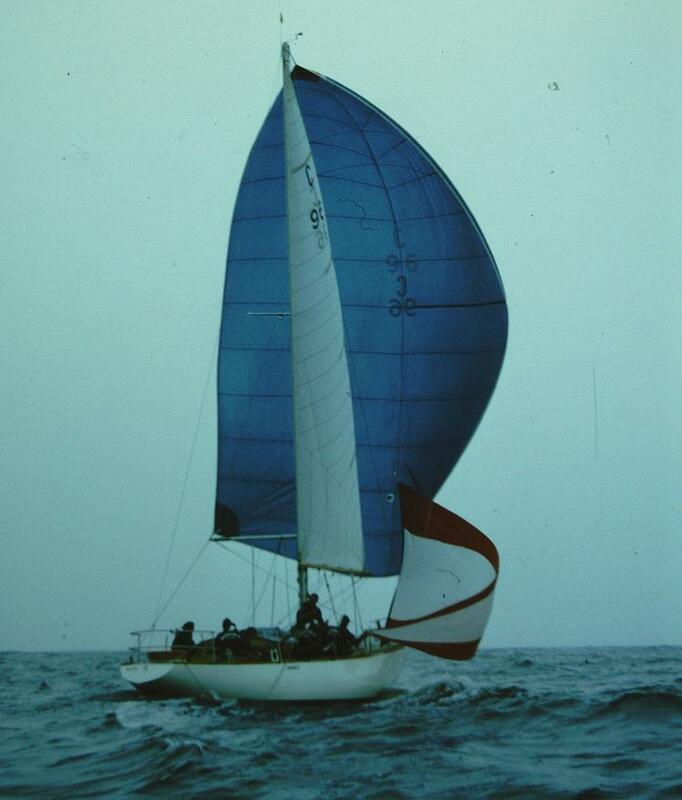 So, I bought back Rainbow II from Jeremy Brasier and pretty soon, with the help of the Maersk Line, she was on her way home to the Waitemata Harbour." 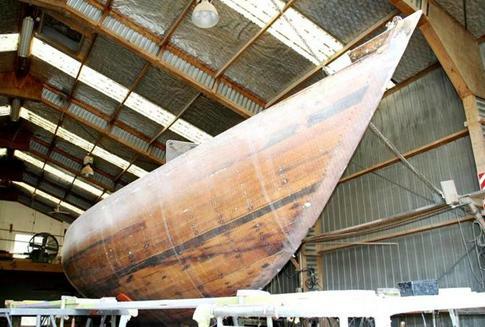 2014 May, Chris Bouzaid: "The restoration of Rainbow II is progressing well at Wayne Olsen’s Horizon Boats Ltd in Silverdale, just north of Auckland, but our fundraising is lagging. 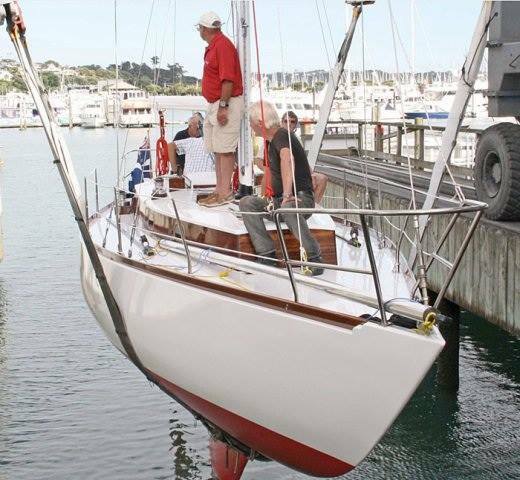 If you feel like helping to put Rainbow II back in the water in full racing trim, no contribution is too big, or too small, and your donation will be fully tax-deductable. 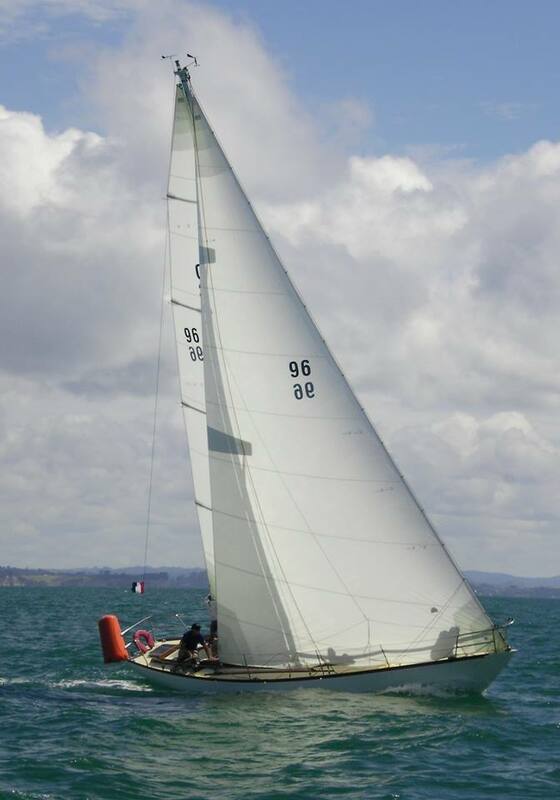 The target is to have all work completed by the end of August, 2014, with Rainbow re-launched at the Royal New Zealand Yacht Squadron’s Westhaven clubrooms in mid-September, 2014."